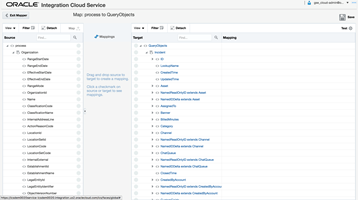 In this fourth and last chapter of the Oracle Cloud Integration Series, we will go through a series of design patterns, which should facilitate the implementation of scenarios similar to those explained in chapters 2 and 3. These patterns are proven solutions to the multiple challenges posed by Cloud Integration requirements. Besides explaining them, we’ll also attempt to establish a relationship between them and the toolset provided by the Oracle stack. Cloud integration will most likely require our services, whether they are cloud-based or on-premise, to interact with multiple devices, components, channels and protocols. This can automatically lead to lack of inter-operability among the various elements of such scenarios, necessitating conversion/transformation logic as part of our integration workflows, and surfacing hidden integration costs–and, in some cases, tight coupling and vendor lock-in. 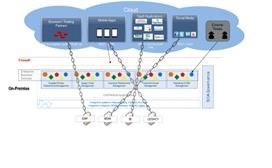 Take a look at the following interface-enabled, Enterprise Application Integration(EAI) style architecture for a cloud integration scenario: Read the complete article here. The attached white paper is the product of a joint A-Team effort that included Deepak Arora, Mike Muller, and Greg Mally. 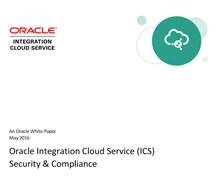 Oracle Integration Cloud Service (ICS) runs within the Oracle Cloud where the architecture is designed to provide customers with a unified suite of Cloud Services with best-in-class performance, scalability, availability, and security. The Cloud Services are designed to run on a unified data center, hardware, software, and network architecture. This document is based on the Cloud Security Assessment section of the Security for Cloud Computing: 10 Steps to Ensure Success V2.0 document, which is produced by the Cloud Standards Customer Council where Oracle is a member. Read the complete article here. 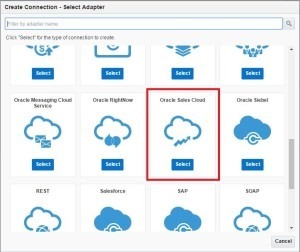 This release of Oracle Integration Cloud Service includes two new adapters (DB2 Adapter and Oracle Logistics Adapter) and enhancements to the REST Adapter, SOAP Adapter, FTP Adapter, and Salesforce Adapter. Enhancements are also provided for orchestrated integrations, scheduled integrations, orchestrated integration creation options, custom adapter uploads, Expression Builder functions, XPath extension functions, exported/imported integrations, diagnostic logs, and REST APIs. See below for details. 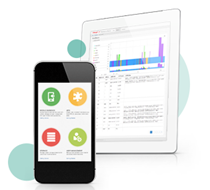 Oracle’s iPaaS solution is the most comprehensive cloud based integration platform in the market today. 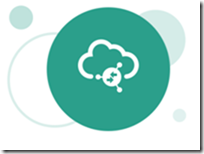 Integration Cloud Service (ICS) gives customers an elevated user experience that makescomplex integration simple to implement. Although OSC provides useful tools for outbound as well as inbound integration, it is a common practice to use ICS as a tool to integrate OSC and other SaaS as well as on-premises applications. In this article, I will explore this topic in detail and also demonstrate the use of Event Handling Framework (EHF) in OSC to achieve the same. Within ICS you can leverage the OSC adapter to create an integration flow. OSC can act both as source (inbound) or as target (outbound) for integration with other SaaS or on-premises applications; with ICS in the middle acting as the integration agent. While the inbound integration flow is triggered by the source application, invoking the outbound flow is the responsibility of OSC. Invoking the ICS integration every time the object which needs to be integrated is created or updated. This can be achieved by writing groovy code inside create/update triggers of the object and invoking the flow web service by passing in the payload. OSC supports events for most important business objects such as Contact, Opportunities, Partners etc. More objects are being enabled with EHF support on a continuous basis. 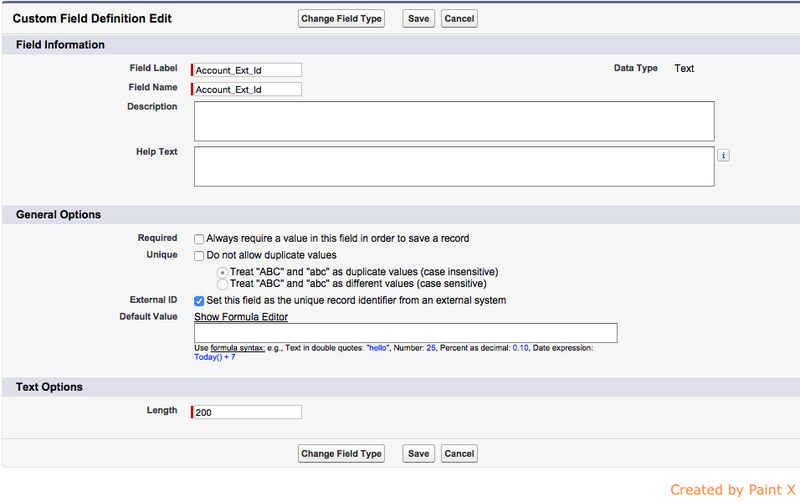 In this article, I will demonstrate how to use EHF to achieve an outbound integration. We will create a flow in ICS which subscribes to the “Contact Created” event and on being notified of the event, updates the newly created contact object. While this integration is quite basic, it demonstrates the concept. While we use Update Contact as a target for our integration, you can use another SaaS application (for example Siebel or Service Cloud) as the target and create a Contact there. Read the complete article here.